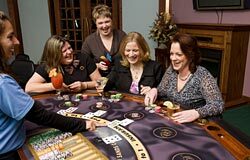 One of the most popular blackjack card counting systems is the Hi Lo Count System, it is preferred by a great number of players because it is easy to learn and implement and you shouldn’t have any problems executing the count. This system was first introduces by Harvey Dubner in 1963. Hi Lo Count isn’t widely used by professionals, it is preferred by novices and occasional dabblers. Using the system you do not create huge advantage over the house, but it’s much better than allowing the house to have a full 4% advantage against you. The Hi Low Count System is a simple way to keep track of high cards left in the deck. This system refers to balanced and single level counting systems. Here each card in the deck is given a value of either -1, +1 or 0. The total value of a 52 card deck is zero. The cards of low rank are given a value of +1 (cards 2-6). The middle cards or "Neutral Cards" 7-9 are given a zero value, or +0. The face cards (10, jack, queen, king and ace) are all given a -1 value. You begin to count with a new shuffle and when a new shoe is introduced. As the cards are dealt, you add 1, subtract 1, or add 0. For example, you start to count with zero and a jack is dealt, the table count becomes -1. If a 6 is dealt next the count becomes 0 (-1 plus +1 equals 0). The higher your count is, the more likely the deck has higher cards left. Increase your bet size the moment you notice that the deck is stacked in your favor, i.e. the count is high (greater than 12). It is true that this situation is just as good for the dealer as for the player, knowing there is a better chance of a high card to come can make some of those tough decisions a little easier. And the opposite, if the count is low and you have a hand that totals 16 against a dealer showing an 8 for example, you can hit knowing that a low card number is very likely to come. Don’t worry about the speed when you just start to count. You will be pretty slow but you should focus on your accuracy. After you count down few hundred decks of cards your speed will increase greatly. The best speed rate to count a deck is 20 seconds. If you like to play black in a land-based casino then as you get faster, create some distractions, turn on some loud music or the television, etc. In a casino it is often very difficult to concentrate since it is really noisy there and you have practiced to count in a quite place. Remember that only practice makes a good card-counter. 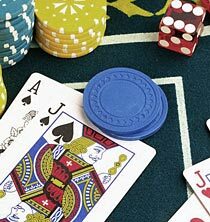 Try to develop your card-counting skills by playing online at home, at our site you can play our free online blackjack game and even though the cards are shuffled each hand it could give you the needed edge and practice. Keep in mind that nowadays many casinos now have automatic continous shuffles that make card counting obsolete as obviously if the cards are constantly shufled your Hi Lo card count would be useless. The more cards are dealt and counted, the more accurate Hi Lo counting method is. Sure you do not have any guarantees but the use of this technique can improve your odds and give you greater chance to win. If you use the system for some time, you can move on to more advanced systems that can provide more accurate view of the player's advantage or disadvantage during the game, for example, KO Count or Red Seven Count, the info about which you can find in the next section.